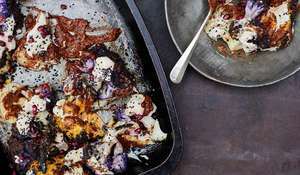 Rachel Khoo shares this mouth-watering salad from Rachel Khoo's Kitchen Notebook. 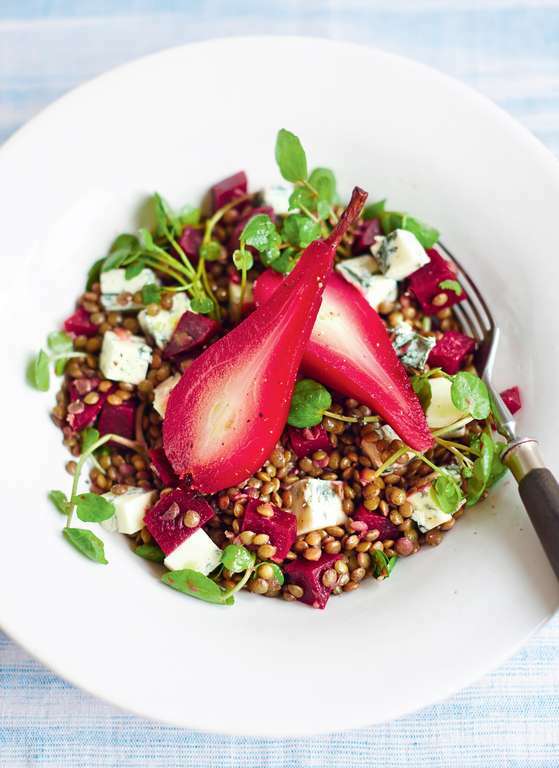 This salad is made up of earthy beetroots, pickled pears, lentils and salty Gorgonzola. 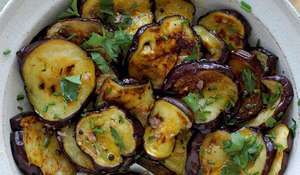 A delicious vegetarian recipe! 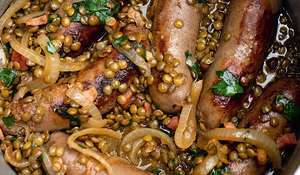 That wholesome image that lentils conjure up always leaves me with a smug glow in the aftermath of eating - quite unlike pasta or rice, which can leave you feeling bloated. After living in France, there’s only one kind of lentil I like to eat (call me a lentil snob if you like) and that’s the Puy. It keeps its shape and doesn’t end up mushy. Puy lentils are easy to top with an endless combination of ingredients or can be thrown into a salad to give it some bite. 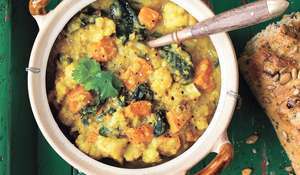 Don’t let your lentils get pushed to the back of the cupboard! Pour the water, vinegar and sugar into a small saucepan (the pears should sit snugly) and bring to a gentle simmer. Stir to dissolve the sugar, then add the pears and beetroot. Take a piece of baking paper larger than the diameter of the pan, crumple it up and cut a hole or slit in the centre. Place in contact with the liquid and let some seep through to keep the paper in place. Cover and simmer gently on a low heat for an hour. Remove from the heat and place the pears, beetroot and all the liquid in a separate container. Leave to cool to room temperature, then put in the fridge and leave to pickle overnight. When ready to eat, cook the lentils following the packet instructions, then drain. Remove the pears from the container to a chopping board and transfer the beetroot to a bowl (discard the liquid or save it for pickling something else). 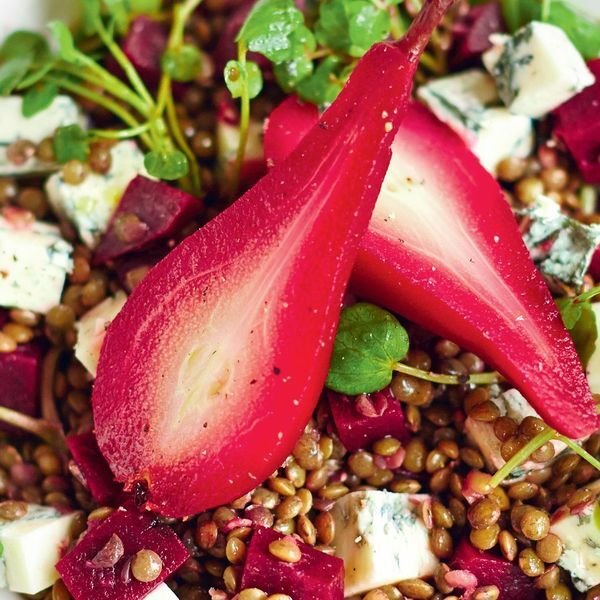 Toss the lentils with the beetroot, then crumble the blue cheese into small chunks and add this to the bowl. Divide the mixture between 4 plates. Cut each pear in half and place 2 halves on each plate, with a little watercress on top. 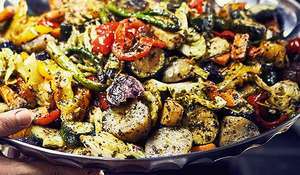 Drizzle with the oil and sprinkle with a pinch each of salt and pepper. It's important that the pears are large, firm and not overripe, otherwise they will become mushy when cooked. 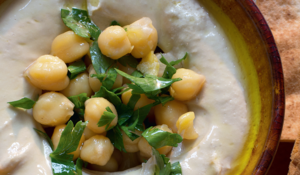 You can use any other soft cheese, such as goat's cheese or feta to replace the blue cheese. The longer the pears and beetroot sit in the pickling juices, the darker the colour and the stronger the flavour. Preparation time: 15 minutes. Resting time: Overnight. Cooking time: 1 hour. 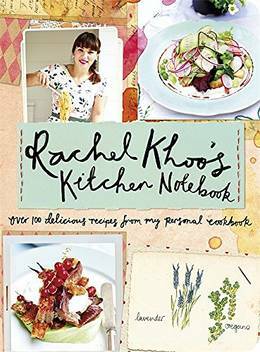 Rachel Khoo's Kitchen Notebook from best-selling author Rachel Khoo. Her latest cookbook is contains 100 gorgeous recipes accompanied by full-colour photography and Rachel's very own sketches of the food and places she encounters.